The Consolidated Plan (Con-Plan) is a locally generated report on housing and community development needs of low and moderate-income households. The U.S. Department of Housing and Urban Development (HUD) requires ConPlans from cities with populations over 50,000; from counties with more than 200,000 people; and from all states (this is further described later). Smaller communities and counties can also benefit from learning about HUD's Consolidated Plan process, as it can provide a helpful framework for addressing low income needs in communities of almost any size. 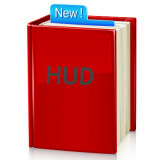 HUD's Consolidated Plan requirement calls for jurisdictions to analyze their housing market and identify the housing and community development needs of their low and moderate income households. See Sidebar, "Lower" Income. The resources available to help address those needs must be identified. Then the jurisdiction must do the difficult task of setting priorities. Once priorities are established, the jurisdiction must have a Strategic Plan which identifies its long-term (three- to five-year) program objectives. Jurisdictions must subsequently prepare Annual Action Plans identifying resources that will be used in the upcoming year to address the priority program objectives. The jurisdiction must provide for and encourage participation by lower income people. See Sidebar, Involving the Public.